The dashboard was removed earlier and all non essential items such as radio, heater and AC ducting, and passenger air bag were removed. 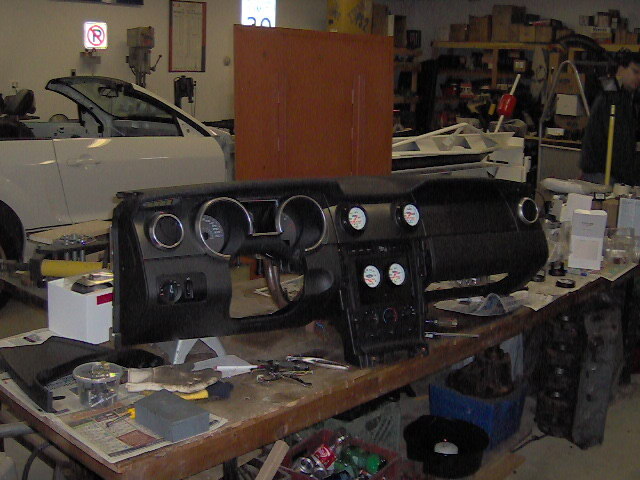 An aluminum plate was fabricated to take the place of the radio for mounting two of the four new Ford Racing gauges. 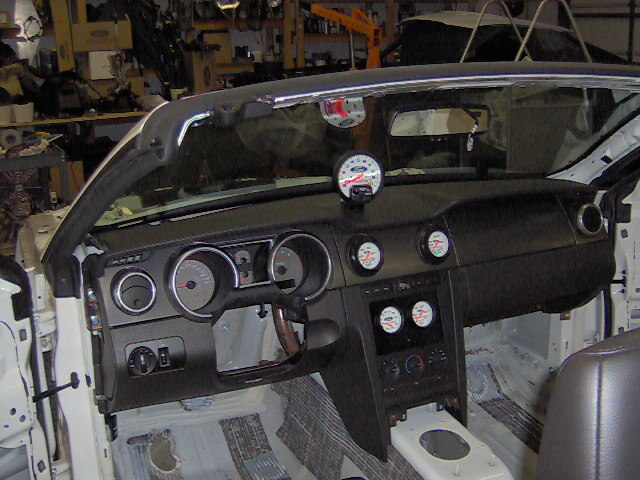 The other two gauges were mounted in the center air ducts. Gauges include oil pressure, water temperature, voltage and fuel pressure. The lightened dashboard with the Ford Racing gauges and tachometer was then temporarly test fitted back in the car. 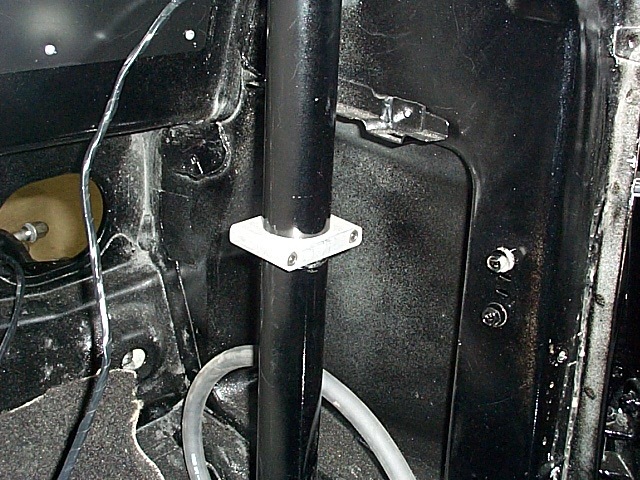 Aluminum bar clamps were fabricated by Wydendorf Machine to mount electrical bus panel to roll rage. 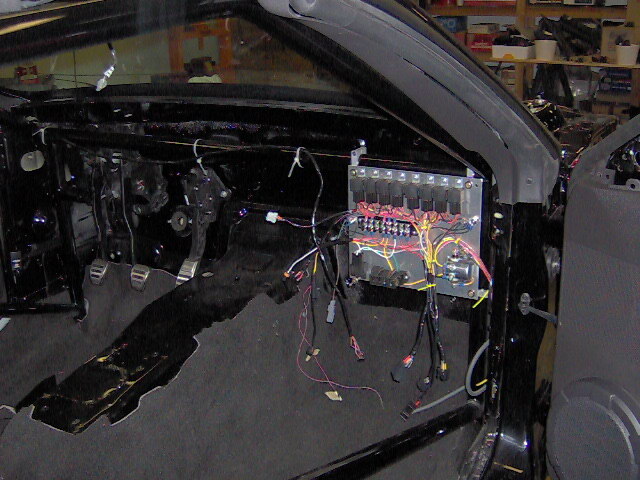 Electrical bus panel mounted to roll cage under the dash.